This post contains Amazon affiliate links. If you click through and purchase something, I may make a small commission which helps keep the lights on around these here parts. Thanks for your support! One of the coolest things about the Marvel Universe is its diversity. Sure you have the main superheroes in big shiny outfits, but you also had a prehistoric tropical Savage Land (Go, Ka-Zar!) in the middle of Antarctica. Or a super team made up of Canadian heroes called Alpha Flight. A hand-glowing, martial artist named Iron Fist. And of course, the King of Wakanda himself, T’Challa. But you may know him better as the Black Panther! Over the years, Black Panther would always pop up randomly to team up with Captain America or the Avengers and I always loved learning just a little bit more about the crazy-advanced hidden world of Wakanda. That’s where vibranium’s from, you know. It’s one of the toughest metals known to man and one of the main ingredients of Cap’s shield. Yep, the highly anticipated latest film in the Marvel Cinematic Universe, Black Panther, is finally almost out in theaters! On February 16th, travel to Wakanda as you get to know T’Challa, the King of Wakanda. To help celebrate this release, The Hopping Bloggers have come together to bring our readers a Black Panther prize pack worth $180 that everyone will want to win! 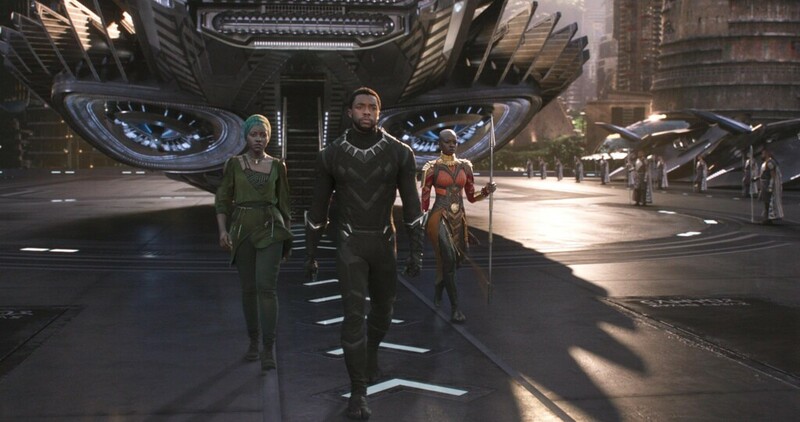 After the death of his father, T’Challa returns home to the African nation of Wakanda to take his rightful place as king. When a powerful enemy suddenly reappears, T’Challa’s mettle as king – and as Black Panther – gets tested when he’s drawn into a conflict that puts the fate of Wakanda and the entire world at risk. Faced with treachery and danger, the young king must rally his allies and release the full power of Black Panther to defeat his foes and secure the safety of his people. See Black Panther in Theaters February 16! 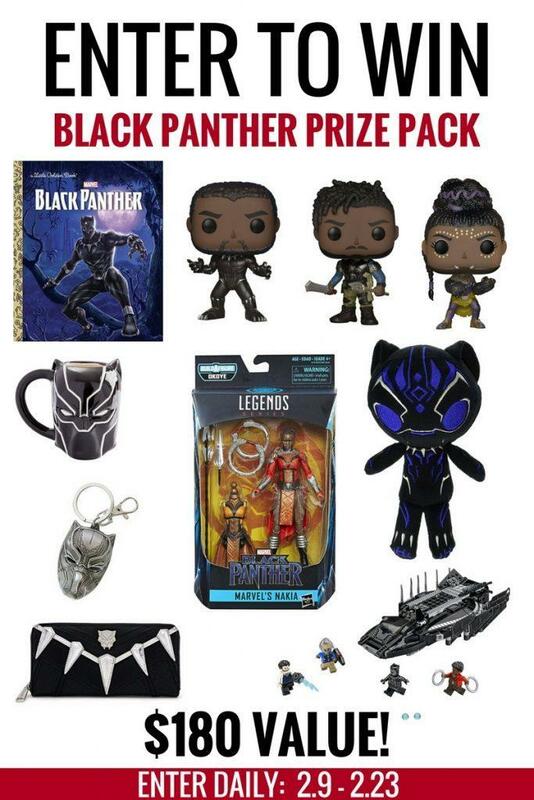 Enter to win this Black Panther Prize Pack using the form below. GOOD LUCK! I think that mug is cool. What a fun prize package! I would be excited to give the book to my niece! I love the Funko Pop figures! I really love it all though. I have seen the movie twice. It is so good! I’m most excited about the mug. I would love to have it on my desk as a pen holder. I’m excited about the LEGOs! My niece is a huge fan of Marvel and LEGOs. I would like the keychain for my daughter. She would hang it on her backpack. I most excited about the Funko Pops! My son would go crazy for them. I am most excited about LEGO Superheroes Royal Talon Fighter Attack Building Kit. I am most excited about the Marvel Legends Series – Nakia! I’m excited for the coffee mug. Thank you to all bloggers that put together this great prize pack. I am most excited about the Funko Pops! Especially the Shuri Pop!